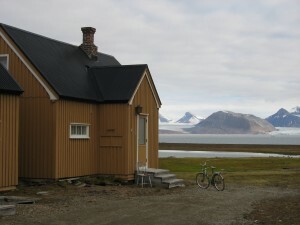 Since August 2010, this is the main building of the Netherlands Arctic Station. Click for the weblog here. The four London houses were moved from Ny-London on the other side of the fjord. They were used for family housing. 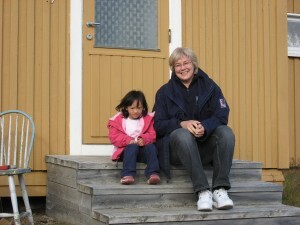 This hut is rented by Monica Kristensen, who is sitting here with her daughter Emma on the doorstep.